The Capital City Streaks will be holding a New Player “Evaluation Day” on Monday, January 21, 2019 and Tuesday, January 22, 2019 at the Emory Folmar YMCA Soccer Complex. 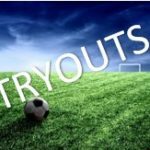 These evaluations are for players that are not currently registered with any ASA Soccer Team/Club and have interest in playing for one of the Capital City Streaks Soccer teams. Cost for the evaluations will be $20 per player. 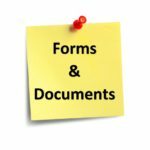 Players Registered with other affiliation as US Club Soccer can also attend evaluations. 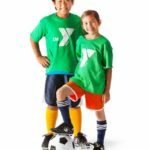 The Montgomery YMCA Capital City Streaks is a Premier Soccer Program that offers teams from Under 9 to Under 18 age groups. 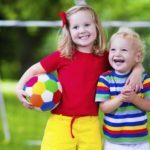 The Streaks give Boys and Girls an opportunity to play competitive soccer in the AYSA State League, Tournaments throughout the Southeast, State Cup Competition and our older top teams also have opportunities to compete in the Region III Premier League. The teams practice at least twice a week with their coach/trainer. The Club also conducts Player Skill Development Clinics and Goalkeeper Specific Clinics once a week free of charge open to all CCS Streaks Players. The Coaching Staff of professional coaches is led by the Director of Coaching, Jason Montgomery who has a vast wealth of experience developing players from the youth through the collegiate levels including five plus years with the Columbus Crew SC of Major League Soccer and with 2x National Club Champion Tampa Bay United. Jason holds a USSF “D” License, United Soccer Coaches Goalkeeping Diploma and United Soccer Coaches Youth Club Administrator Certificate among his certifications and has received coaching education at Coverciano, the Italian Coaching School and from the French Football Federation.